Hardscape Manufacturer of pavers, retaining walls, fire pits, and backyard design products. The Enhance Companies specialize in the installation of Paver Driveways, Paver Patios, Seating Walls, Fire Pits, Pergolas, Outdoor Kitchens. 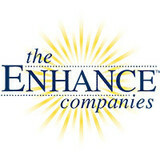 The Enhance Companies has been in business for over 17 years. We pride ourselves on our professionalism, and ability to provide you every stage of hardscape installation. 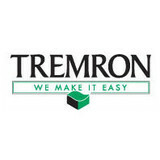 We are the only fully turnkey solution in existence throughout the Southeast. We look forward to working with you in every phase of your project. The Enhance Companies are ICPI certified, fully licensed and insured, and are also members of the Chamber of Commerce and The Better Business Bureau. We feel that it is important to maintain memberships with quality certification organizations and stay at the forefront of the hardscape installation, supply and job support industry. We look forward to working with you in all phases of your project whether you are the end user or another contractor. Lima Stoneworks is one of the most reputable outdoor living companies in the North Florida region. Located in Jacksonville, our company is specialized in delivering the best quality of work, most updated designs and outstanding customer service as well as the most competitive prices in the market. By valuing our employees, listening to our clients, and operating under the ideals of moral integrity, quality, and accountability, we will lead our industry in service and promoting unforgettable moments for our clients. Our pavers have been installed everywhere. From the mansions on Jacksonville Beach to the quaint sub-divisions. Installing pavers on your property is the best, long lasting investments you can make to your home or business. As an added bonus they provide instant beauty. Pavers can be ordered to color-match your home and coordinate with the decor of your backyard party room. Driveways, Fill Dirt, Land Clearings, Millings, Pond, and much more! 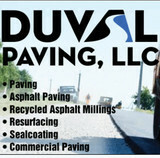 Divine Paving LLC is a paving and masonry contractor serving the Jacksonville, FL area. Services include Asphalt, Paving, Sealcoating, Asphalt Millings, Mason, Brick, Cement, Stone, Concrete, Steps, Fireplace, Chimney, Sidewalks, Patio, Retaining Wall, Hardscaping, Foundation, Driveway and Pavers. Payless Brick Pavers is family owned and operated company. We specialize in customs desings and expert installation of brick pavers, including maintenance of all phases of brick and interlocking concrete pavers, Payless Brick Pavers was established with our customers in mind. Our reputation, knowledge and expertise precede us and have earned us respect and recognition among our peers and customers. 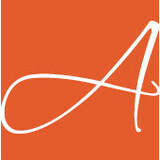 Our mission is to provide the finest quality product that incorporates our clients' individual needs and style. Customer Satisfaction will remain our priority as we continue to move forward to be one of the most notable paver companies in the industry. "no sub contractor "
Divine Paving LLC is a paving & masonry contractor serving the Saint Augustine, FL area. Services include Paving, Asphalt, Sealcoating, Asphalt Millings, Driveway, Concrete, Mason, Cement, Patio, Pavers, Foundation, Brick, Chimney, Hardscaping, Retaining Wall, Sidewalks, Steps, Stone and Travertine Pavers. Florida Coastal Contractors is a Backyard Design and Improvement business based in St. Augustine, FL. Company services the Atlantic Beach FL, Jacksonville FL, Neptune Beach FL, Nocatee FL, Ponte Vedra Beach FL, Ponte Vedra FL, St. Augustine FL, Vilano Beach FL areas. Florida Coastal Contractors provides paver patio installation, pergola installation, fireplace installation, outdoor kitchen installation, fence installation to residential and commercial property owners. The company has been providing services since 2017. Robert Carlton has grown up in Florida’s masonry industry as a third generation mason and he brings with him a unique perspective that few share. He began as an award winning masonry apprentice which culminated with his 25 years of experience into being a principal with Capital Concrete & Masonry Solutions. In all that time, he has never stopped giving back to our industry’s workforce development and his apprenticeship training efforts as an Instructor. He has been a leader in the masonry industry as Chairman for the State Masonry board and Board member for the State Masonry Education and Apprenticeship Foundation. In those years he has helped get passed important Bills in State Government such as the Concrete Masonry Education Act (CMEA) in which Governor Rick Scott has appointed him as Council Member to help oversee how the monies are spent for education and promotion of concrete masonry. Robert is known and respected by every facet of our concrete and masonry community throughout the State. It is his vision and goal to produce the best possible experience and results for each and every customer we work for each day. Homeowners in Jacksonville often don’t realize just how important a driveway is when it comes to curb appeal; it’s one of the first things guests see when they arrive and one of the last when they leave. So if your front drive is damaged or you want to switch from, say, a gravel driveway to an asphalt one, hire a Jacksonville, FL driveway installation and maintenance professional to help you create your dream driveway. From installation to repair, Jacksonville, FL driveway contractors are responsible for a variety of planning, installation, construction and driveway maintenance services. Driveway materials. While most driveway contractors in Jacksonville, FL primarily work with asphalt, they are also experts on the wide range of available driveway materials. If you are looking for something different than a standard asphalt driveway, your pro can help you select driveway pavers or customize a brick driveway design. A driveway installation and maintenance professional may work closely with a Jacksonville, FL builder, landscape professional or various manufacturers and suppliers. 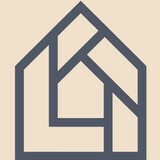 Find a Jacksonville, FL driveway installation and maintenance professional on Houzz. Narrow your search in the Professionals section of the website to Jacksonville, FL driveway installation and maintenance. You may also look through Jacksonville, FL photos to find examples of driveways that you like, then contact the professional or contractor who worked on them.